Roy Cooper vetoed a commonsense, fiscally-responsible budget that prioritized the citizens and economic future of North Carolina. Roy Cooper vetoed pay raises for teachers (2nd consecutive veto of teacher raises), principals, state employees, correctional officers, and state troopers. Roy Cooper vetoed additional funding to help the victims of Hurricane Matthew recover, funding for school safety, access to broadband for rural North Carolina, and protecting our drinking water. 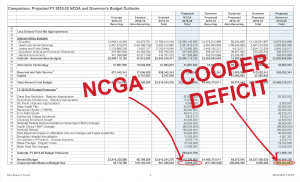 Roy Cooper ultimately defended this politically-motivated veto to highlight his political charade of a budget proposal, which was embraced by nearly all NC House Democrats and their candidates. 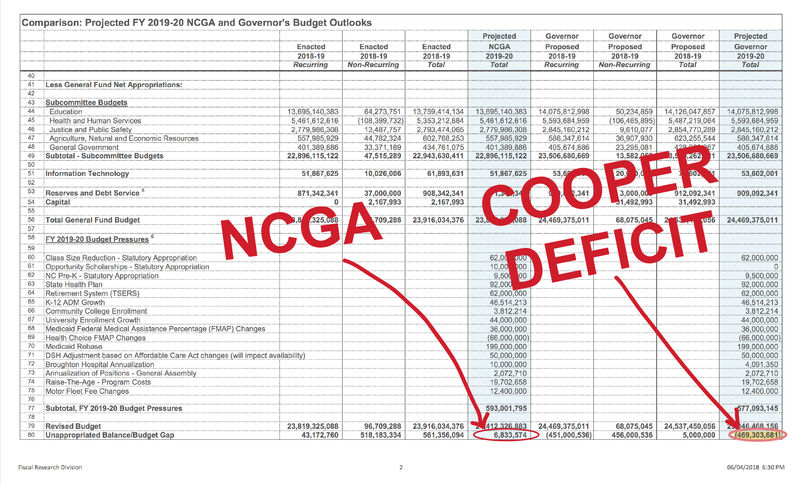 According to the non-partisan fiscal staff of the North Carolina General Assembly Cooper’s proposed budget would swiftly return North Carolina to the economic ruin of 2009 and 2010 – massive budget deficits leading to a cutting of services or tax increases. When asked by reporters to justify his budget’s massive deficit, he skirted the truth and resorted to childish finger pointing. Republicans in the North Carolina General Assembly have put forth a budget that will help all North Carolina and secure a brighter future. Come November the choice becomes more clear by day – continue economic prosperity and opportunity or return to the failed, liberal tax-and-spend policies that hurt our state.